Celebrations all round at the dusitD2’s Beer Garden. 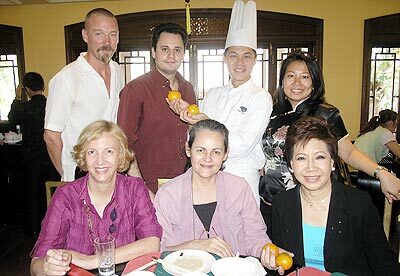 Mom Luang Preeyapun Sridhavat (seated right) shared a Chinese New Year lunch with friends at the Manderin Oriental Dhara Dhevi. 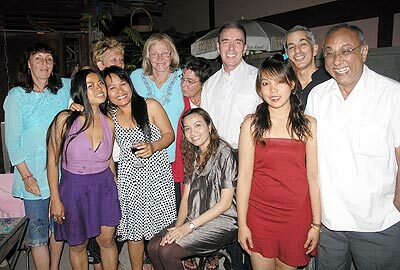 Guests and staff toast the opening of the new wine bar at JJ markets. 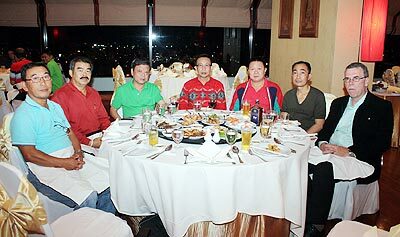 Phouwiangkan, Bernard Hetre, Dararat and George Sioris, together with Phairoj and Tanadda, enjoy a meal at Ginger Kafe. 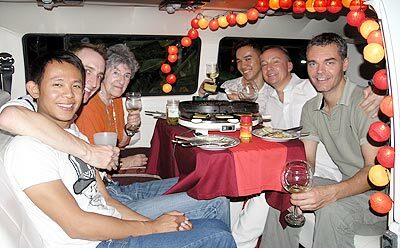 The Swiss know how to celebrate Chinese New Year - in the back of a camper van! 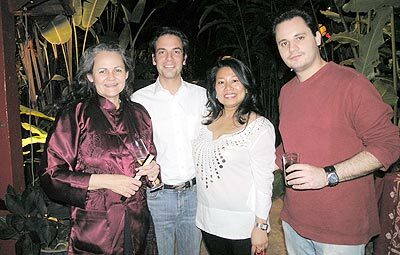 Virginia, Costarn, Esther and Francesco celebrate a Big Birthday at the River Ping Palace. 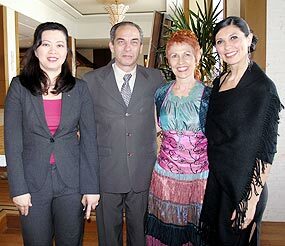 Argentinean dancers Pablo and Sonia, together with Linda, are welcomed to the Shangri-La’s Saturday Tea Dance by the hotel’s GM, Elaine Yue. 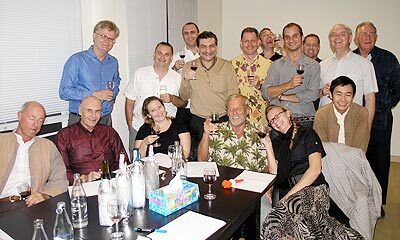 Skal members and friends enjoy a wine-tasting session at the ‘Look at This’ Gallery on Nimmanhaemindha Road. 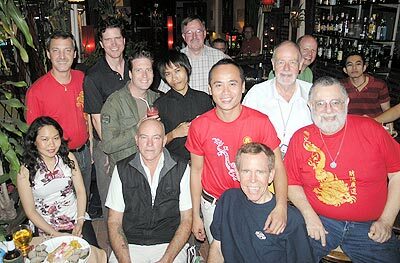 It was a full house at the Soho Bar to celebrate Chinese New Year. 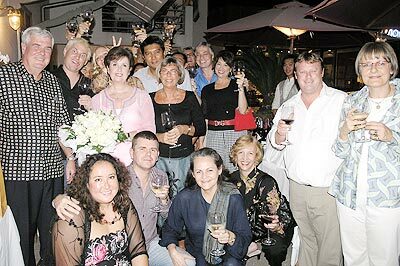 Narongsak Ow Watcharin, owner of Ow-Chin Heng Goldsmith Chiang Mai (3rd left) presided over the Chinese New Years Eve Party 2009 at the Sunflower Chinese Restaurant, Centara Duangtawan. 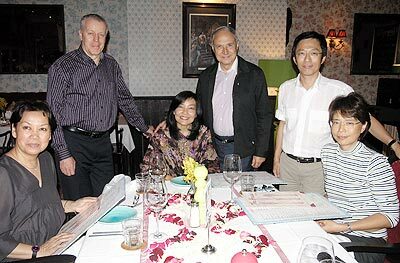 Chart and Hans held a farewell party recently for Eleanor Hardy at their House Restaurant. 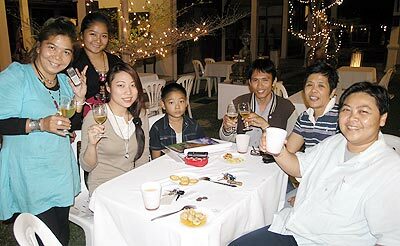 Guests enjoy a BBQ at the Yellow Bird Cafe.